stream and download the new EP! Sign up with your email address to receive news, updates, and special offers for our dissolute friends! Thank you for being ONE OF THE DISSOLUTE!!! Listen to THE BRAND NEW 2019 EP NOW! CLICK HERE TO BUY TICKETS! FREE SHIPPING, NO SERVICE FEES, AND COMES WITH A FREE DOWNLOAD OF OUR NEW EP! 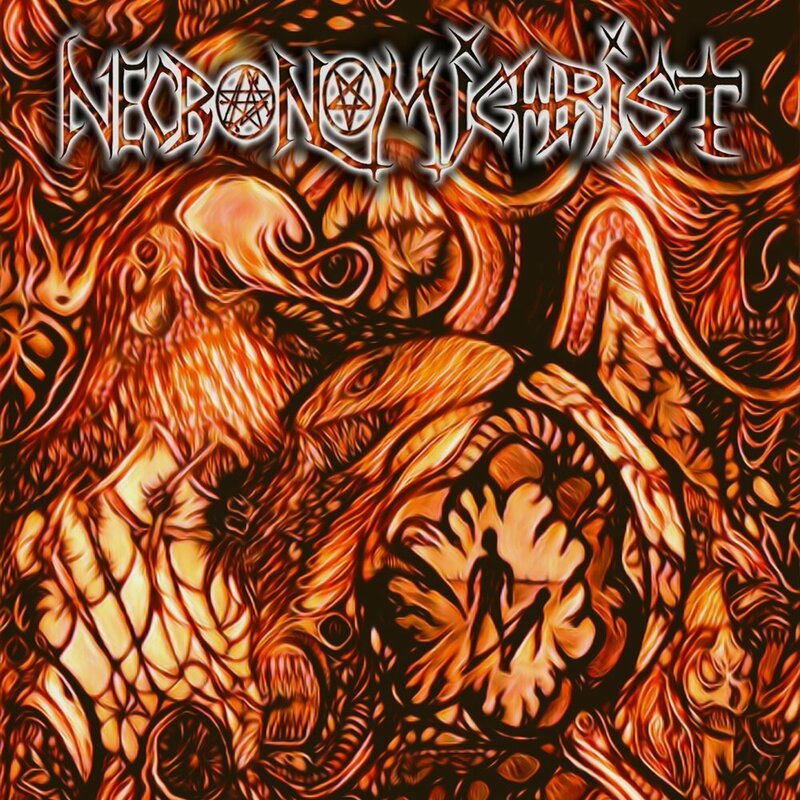 Necronomichrist is a progressive extreme metal band based out of Massachusetts. since 2006 they have refined an epic sound and continue to push the limits of their writing and execution. Only in the darkest music can brutality and beauty find common ground. In quietly progressive western Massachusetts is an unapologetic sound driven by powerful percussion, soul-crushing riffs, and led by one of the most elegantly vicious voices in extreme metal today. Necronomichrist produces well crafted chaos that exceeds the ambiguity of mass produced metal and yields their unmistakable sound in anguish. The unquiet quartet consisting of original members Kendall "Pariah" Divoll(drums, keys) and Nathan Plummer(bass), along with Bill Sawin(vocals) and Lenny Patterson(guitar, backing vocals) are a brotherhood of brutality tempered only by the precision of their art. The road to their current state of anti-grace has been as diverse as it has been hard won. Lead singer Bill Sawin credits exercising his voice under the near deafening sound of KC-130 aircraft engines on two tours of USMC duty in Iraq in 2006 and in Afghanistan in 2008. Bassist Nathan Plummer has been cultivating his mastery of words through endless hours of writing several fictional works. Drummer Pariah has expanded his already impressive repertoire to include working as the producer of several eclectic projects, and developing his skills as an independent hip hop artist. He continues to hone his percussive prowess as a teacher and session musician, touring with acts like Boston techdeath band Replacire(Season of Mist) AND ERIN HARPE & THE DELTA SWINGERS, WHILE doing studio work with artists across many genres. Guitarist Lenny Patterson has been in the extreme metal world for over 20 years, as bassist and vocalIST in former band Deadfuck, and with his legendary underground grindcore project Infant Torso Heap, AS WELL AS MANY OTHERS. He is also an up and coming artist, whose work will be seen on the cover of the next Necronomichrist release. Heading into a 2019 tour season. Necronomichrist has already shared a stage with such national acts as Death, Gorguts, Cradle of Filth, Dying Fetus, Suffocation, Six Feet Under, and Deicide. Intent on sharing their work with the world, Necronomichrist has a new EP being released on January 1st, 2019, produced by drummer Pariah and featuring art by guitarist Lenny Patterson, that will showcase their musical evolution and dedication to over 12 years of dissolution. Keep a watchful eye on the horizon and one foot in the abyss. The Dissolute are coming.